Originally published by Arts Professional, as part of their Rural Arts issue on 08 February 2018. 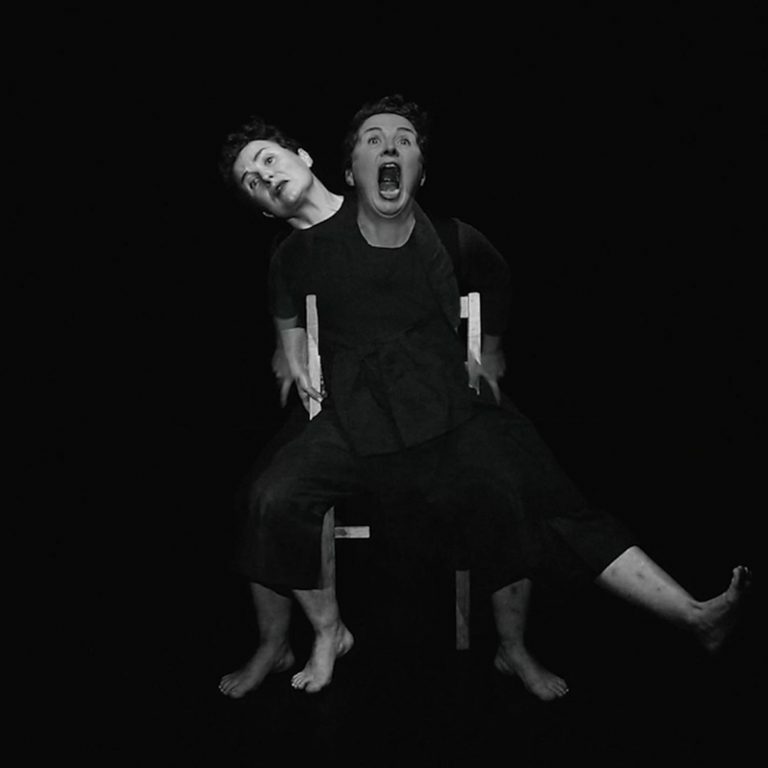 CLOD ENSEMBLE works at the intersection of different disciplines where theatre, music, dance and the visual arts meet. We are as interested in group and community dynamics as we are in the psychology of individuals and what can be said without words. The way these interests manifest is through performances in large, and sometimes unusual spaces, from Sadler’s Wells and Turbine Hall in London, to Margate’s seafront and Tramway in Glasgow. Working on a large scale means we are often limited to presenting in cities with large venues. After several years of making work that seemed to resist being performed in smaller spaces, we were aware that we never visited rural areas and had not explored what opportunities they might offer us artistically. Form and content are always intertwined and feed into each other as a piece develops. Different pieces require different scales and types of venues. 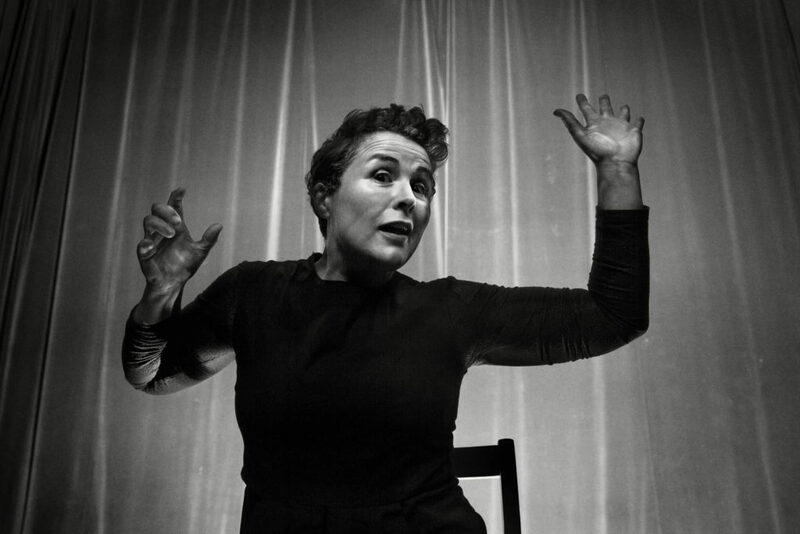 When our long-term collaborator Sarah Cameron shared with us her epic ballad The Red Chair, we recognised that it would work in an intimate environment. We harboured the idea of taking it into rural venues and built this ambition into the creative process from the start. Through Arts Council England’s Strategic Touring programme we piloted a rural version of the show and, inspired by Sarah’s lyrical Scots dialect, we embarked on a tour across the Highlands. Rural touring can require you to present work in all different types of buildings, such as schools and community centres as well as small theatres. 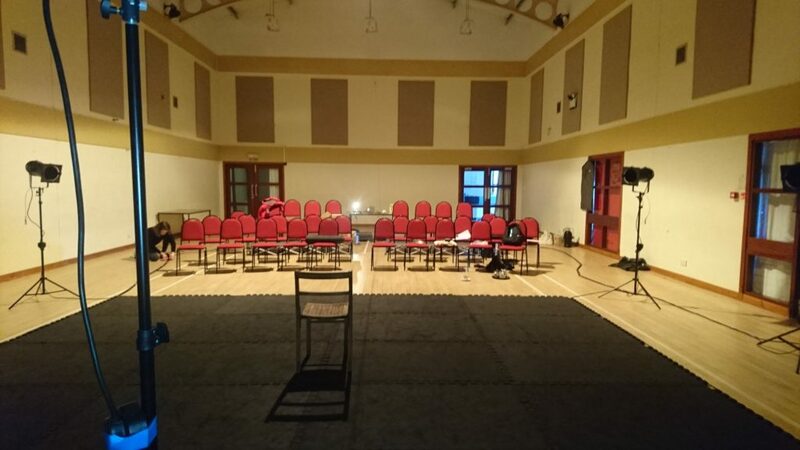 This meant that The Red Chair would inevitably jettison many of the things our work is known for – live music, large casts and complex technical rigs. Rather than feeling this was an artistic compromise, the limitations became a creative challenge and forced us to think about what was essential. We used a stripped-down aesthetic (a simple wooden chair and a salt circle) with a recorded score, but only two speakers, six domestic lights and a manual control desk. All this could be transported in a Vauxhall Astra and operated by one person. Setting up at The Seaboard Centre, Balintore. Our relationship with audiences was completely unlike any other production we have ever made. We worked hard to think differently about how to attract audiences and in every destination, we engaged an arts enthusiast. This person became our eyes and ears on the ground, knowledgeable about local opportunities and able to champion the work long before we arrived. Sarah had a much closer contact with audience members, and this fed into the performance style. With a sparse design, the performance relied on the collective imagination of the audience, creating an open, rooted and truthful interaction. Sarah learned to adapt her performance quickly in diverse circumstances – a village hall one day, a fully equipped theatre the next. Amount of work: There are perceptions that making and touring productions to smaller venues is much less work, but we found that to retain quality and consistency our process was remarkably similar. We had a much smaller team to coordinate, meaning we were able to be more responsive, but broadly speaking economies of scale do not apply. New opportunities: Embracing new opportunities can be much harder to achieve on a large scale. The Red Chair follows the story of a man who couldn’t stop eating, so we engaged local food producers to offer tasters that were given to audience members during the performance. Personal connections: The connection with the local promoter is essential to the success of the project. Touring networks offer a gateway to each venue, but don’t underestimate the time you will want to invest in personal relationships with promoters. Enjoy the detail and context they can bring to your plans, and pay for them to travel and see the show in advance if you can – a more formidable resource than another thousand flyers. The motivations for seeing work in rural locations is often different to cities where there are countless cultural offers to choose from. 96% of audiences to The Red Chair had never seen one of our shows before and knowing the diverse interests and tastes of audience members, it may well not have been their first choice. We were reminded of the role of performance as a social event which is central to the life of a community. Our discussions after the show on windswept clifftops and over dinner in the homes of our hosts were richly rewarding and stretched far beyond the transactional. Arrive early or stay late and find opportunities to make the most of the environment you find yourself in. Rural touring will take you to some truly spectacular locations, brought to life by passionate, welcoming people.